A spacious, new Italian-themed restaurant, called the Italian Job, is now open on Level 2 at the Bay Street Complex in St George’s Bay, St Julian’s. It gets its name from the well-known 2003 American heist film, starring the glamorous South African actress, Charlize Theron, along with the two tough guys of the Hollywood movie industry, Mark Wahlberg and Jason Statham – itself a remake of the 1969 British movie of the same name. Located in the front left hand corner of Bay Street, the Italian Job extends over 600 m² and has a capacity for 300 in various seating combinations. It incorporates an enoteca, salumeria, gelateria, cafeteria, bar and restaurant that portrays the Italian love for food, good wine and fine dining in terms of gastronomy and all that is pleasurable to our taste buds. The entrance area, including outdoor seating, hosts the enoteca, devoted to wine-loving connoisseurs, and salumeria offering selected cold cuts off the bone and food platters; and the gelateria, dedicated to Italian ice-cream lovers, and confectionery with a choice of cake specialities. The terrace overlooked Bay Street’s central piazza also has seating for the cafeteria which is open on Sunday afternoons with chill-out music. The major change in the completed refurbished space is the opening of a large, L-shaped terrace that overlooks the front of Bay Street with views all the way down to St George’s Bay. This can be closed off in winter and even the doors to the interior of the restaurant can be removed to create a large outdoor space. 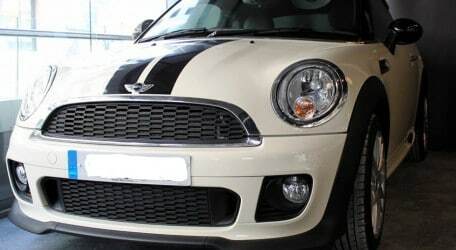 A couple of outstanding features of the restaurant are an authentic, brand new MINI Coupé, which is reminiscent of the fantastic movie scene of the high speed chase in Mini Coopers along the streets of LA, and a large black and white mural of Naples, the city where pizza originated. To ensure service is of the highest levels, Chef Peter Aquilina has a team of eight chefs and 12 serving staff. An à la carte menu is composed of classical Italian dishes including antipasti, pasta and pizzas cooked in an authentic wood oven, but also various types of burgers, salads in an edible bowl and daily specialities. “We wanted to stick to the movie theme, which takes place both in the City of Doges, in Italy, and then in Los Angeles, by creating a menu that sounds like ‘Little Italy’, 50% Italian and 50% American,” Mr Aquilina said. With interior décor by Design Art & Architecture Associates (DAAA Haus), the atmosphere faithfully reflects the movie theme and the ‘Little Italy’ spirit too, with the real MINI Coupé installation in the centre, and three old Vespas, that stand for the freedom, adventure and friendliness of the Economic Miracle period of Italy’s history. A red brick wall with the restaurant’s logo recalls ‘La Rossa’ (the Red) of Bologna, together with all the necessary Italian ingredients for style that this Little Italy atmosphere projects. According to DAAA Haus Design Director Keith Pillow, this is a restaurant that should appeal to all tastes. “We wanted to make sure that even the non-Italian visitor will be attracted to this celebration of Italian food and drink with its vintage Rome Italian style décor. This complete restaurant refurbishment was accomplished in a very tight, two-week time frame and we are proud to have delivered it to the customary high standards of DAAA Haus,” Mr Pillow said. The Italian Job is open from 11 a.m. to midnight from Monday to Sunday, and is happy to serve both lovers of Italian food as well as those looking for new culinary sensations. Throughout the World Cup, up to six matches can be watched simultaneously on the 16 screens throughout The Italian Job, including a big screen.